Do You Find it Hard to Tell the REAL Offers from the Bogus Deals? Do You Want to Know How to Protect Yourself From Online Thieves? 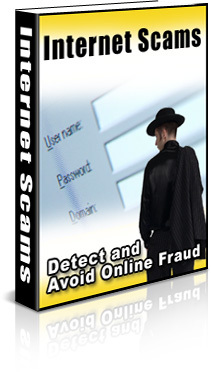 Get detailed information on ‘fright scams’, viruses, pyramid schemes, investment fraud and ‘phishing’ scams. Find out about donation and charity scams and how to tell whether the organization to which you want to do donate is really going to give the money to those in need. Find out how to avoid bothering your friends, and possibly causing them to lose money by forwarding scams or scares. Information on the most common attributes of ANY online SCAM so you can even recognize the NEW SCAMS THAT EMERGE NEXT WEEK or NEXT MONTH.